Date: Feb 22 2019, 9 a.m. These workshops are a part of the 2019 Military Saves Week Campaign. Military Saves is an annual opportunity for installations and organizations to promote good savings behavior. This event is open to everyone. 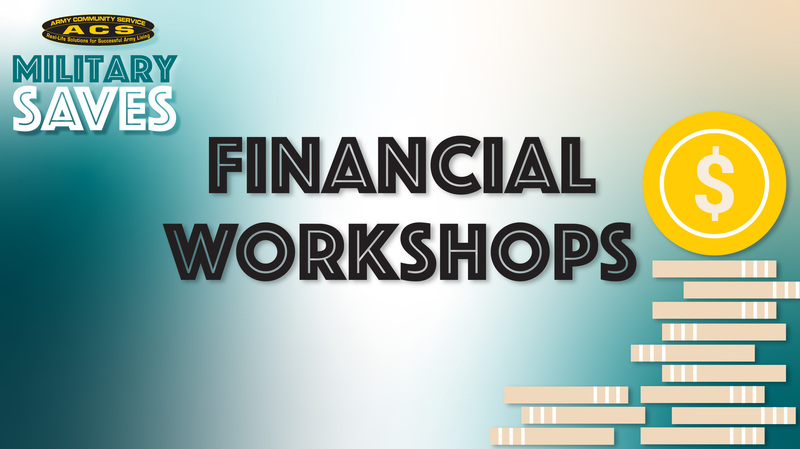 9 - 10:15 a.m. Financial Coaching for Military Members Workshop: This workshop is designed for Military Leaders and Supervisors at all levels. 10:30 - 11:30 a.m. From Military to Civilian Benefits Workshop: This workshop is designed for Military Members with over 12 years of service.